Adaptive Growth Strategies, a business that facilitates organizational growth through helping companies become change agile, is proud to announce national certification as a Women’s Business Enterprise by The Greater Women’s Business Council (GWBC®), a regional certifying partner of the Women’s Business Enterprise National Council (WBENC). From the day Adaptive Growth Strategies opened its doors, we had the goal of gaining WBENC certification. WBENC helps women empower one another and makes it easy for companies to work with women-owned businesses that are innovating in their fields. Of course, AGS benefits directly from networking with and learning from more than 13,000 certified companies. But our clients benefit even more. The value of WBENC’s continuous education and professional development opportunities is immeasurable. We have a new resource to mine for innovative approaches to our clients’ biggest challenges. 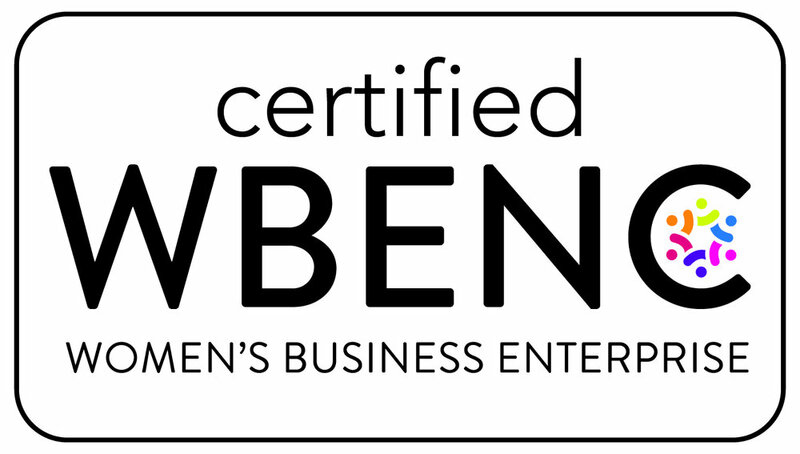 WBENC’s national standard of certification implemented by the GWBC® is a meticulous process including an in-depth review of the business and site inspection. The certification process is designed to confirm the business is at least 51% owned, operated and controlled by a woman or women. In an increasingly complex global economy, organizations that have adaptability coded in their DNA are the ones that will experience sustained growth. AGS helps companies build adaptability into their growth strategy at the cellular level—making an agile, adaptive culture that is continuously improving at its core. AGS does this by serving as a strategic partner with its clients, collaborating with them to envision and achieve their goals. We help clients solve their most critical business challenges through a holistic approach; we help businesses adapt to a changing world ethically and purposefully. AGS uses a consultative method that integrates the business and people side of organizational growth, which gives companies the greatest opportunity to succeed. To do that, we view culture as being at the heart of an organization’s growth strategy. By viewing culture, business and people as discrete, yet interdependent, areas of an organization, AGS can customize our approach to turn our clients’ vision into reality.